Myanmar may be the least developed nation in Southeast Asia, yet it is never short of history, culture and natural beauty. Now that the country is opening up to the outside world due to the end of decades of harsh military rule, it is alluring an increasing number of visitors to explore this mysterious land. If you're thinking about visiting this fascinating country, here are 8 things you should know before you go. Though the country can be traveled all year round, the ideal time to visit is during the cool season, between October and February, when there is least rain and temperatures are most moderate. 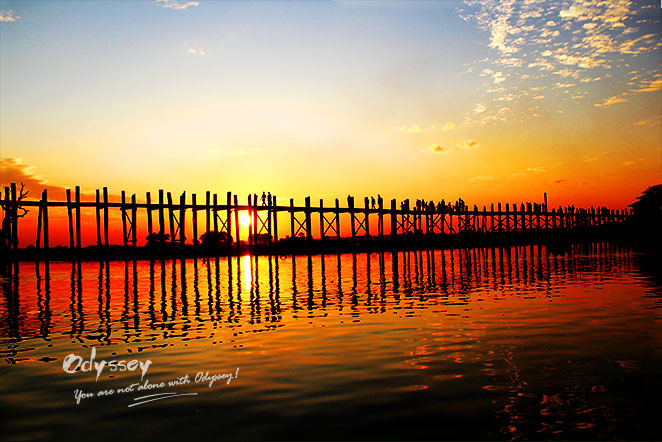 If you go during this period, you should plan your trip well ahead of time as Myanmar travel is busiest. Traveling during the hot season, however, you will not only avoid crowds of tourists but also get a much better value as transportation and accommodations are cheaper. Besides, you can also experience some of the country's great events and festivals such as Shwedagon Pagoda Festival (early March), Thingyan (Myanmar New Year, mid -April), Full Moon Day of Kasone or Buddha Day (between mid-April and early May), and Rice Donating Ceremony (mid-September). 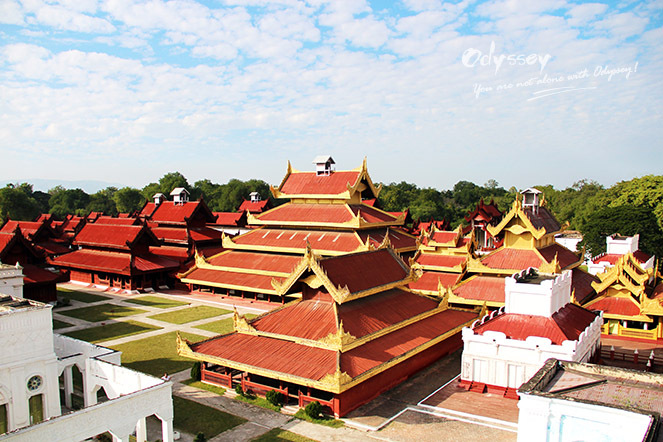 The magnificent Mandalay Palace is the last royal palace of the Burmese monarchy. All foreign nationals require a visa to enter Myanmar unless he or she is a citizen of one of the visa- exempt countries including Thailand, Singapore, Vietnam, Philippines, Indonesia, Brunei, Cambodia and Laos whose passport holders are granted 14-day visa-free travel. While it is not possible to get a tourist visa on arrival, you can apply for a tourist visa either at Myanmar embassies and consulates in your country or online. Myanmar e-Visa is available for citizens of 100 countries such as the US, UK, Australia, France, Netherlands, Germany, Norway, etc. An e-tourist visa (cost: US $50) can be applied for via Myanmar's Ministry of Immigration and Population website and takes around three days to process. It is valid for 90 days from the date of issue. With an e-tourist visa, you are allowed to stay for up to 28 days and can only enter at Myanmar's three main international airports: Yangon, Mandalay and Nay Pyi Taw and at three Thai-Myanmar land border crossings: Tachileik, Myawadi (Myawaddy) and Kawthoung (Kawthaung). Myanmar is increasingly a hot tourist destination and faces a shortage of accommodations especially in popular tourist areas such as Yangon and Bagan, so most hotels are generally more expensive than those in other Southeast Asian countries. Many hotels can be booked online now, so make sure you reserve your room as early as possible especially during high season (October to February). Contrary to what you may assume, Myanmar is not a cheap destination partly due to a shortage of supply though it is also located in Southeast Asia and less developed than other countries in the region. Thus you need to budget appropriately. The local currency is the kyat (pronounced chat), but the US dollar is so widely accepted. When touring Myanmar, it is best to carry a mix of US dollars, kyats, and credit cards as backup options. There are many ATMs in towns and at most airports that take international cards. That means you don't have to carry your entire travel dollars in cash with you as visitors did years ago. CB (Co-operative) Bank and KBZ (Kanbawza) Bank are the biggest local banks that have the most reliable ATMs. They take both Visa and MasterCard, but only dispense kyat, charging a fee of 5000 kyats per transaction with a maximum withdrawal of 300,000 kyats. You can also have international cash transfers via Western Union when necessary. Despite the growing presence of ATMs, it is important to bring some bills of US dollar with you. You will find them useful in case you discover that the ATM is out of service or when you are in a place where you simply don't have access to an ATM. You should bring bills of different denominations and make sure they are in pristine condition, without creases, rips and writing, and printed no early than 2006 or they might not be exchanged to kyats. Credit cards are mainly accepted by top end hotels, airlines and some travel agents. Be sure to inform your credit card companies about your travel plan before you head to Myanmar so that they will not freeze your cards when detecting any unusual activities. Myanmar's telecommunications are growing fast, with increasing mobile and internet users. So it's easy and inexpensive to get a SIM card (costs around $1.50 & offers 4G data) in major cities like Yangon, Mandalay and Nay Pyi Taw that allows you to make phone calls and access the internet. To buy a SIM card, you need to bring photocopies of your passport photo page and Myanmar visa page, and a passport photo. The internet is widely available. Most hotels, guest houses, and bars offer free WiFi and you can access the internet even in more remote locations. Thanks to the lift of internet restriction, internet users can now access most foreign websites such as Google, Facebook, and Twitter. Yet due to the bandwidth restrictions, using the internet can be a frustrating experience. Myanmar is safe in places where foreigners are allowed to visit, with extremely low incidents of crime. However, when using hotel safes for your valuables, you still need to observe necessary precautions. You may sometimes come across some people trying to persuade you to buy things, but most people approaching you are simply taking the chance to practice their English. The no-go zones are far from major tourist areas. They are mostly in the eastern and northern parts of the country where there are still conflicts between the government and different ethnic armies. Air and bus travels are the main ways to get around the country, but it is also possible to travel by train or by boat. Air travel is, of course, the fastest and the rest forms of transport all take time. Taking a bus ride can be bumpy and slow. It is a 9-hour bus journey from Yangon to Mandalay, for instance. Traveling by train or by boat can take even more time, but that also offers you a unique way to admire the beautiful views of the country and learn about the local way of life. 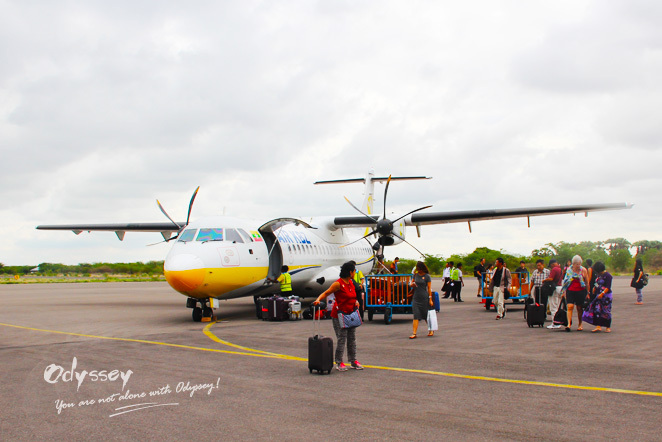 Bagan Nyaung Oo Airport is the primary air gateway to the ancient temples of Bagan. While a long bus or train trip can be a great opportunity to practice patience, not so many people are happy with such a practice. To save you some time and much hassle, you can consider booking a private tour which includes not only all the accommodations and sightseeing but also transfers and the private vehicle will offer you maximum comfort. Having a handshake is not the way the Myanmar people greet each other since they avoid physical contact. What they do is slightly bow their head or simply give a smile. Never touch one's head or use your feet to point at someone, not even statues or images of Buddha. This is because head is the highest part of the body and considered to be most sacred, and feet are the lowest, thus believed to be dirty. You should use both hands whether you are giving or receiving something. You are supposed to take off your shoes and socks before entering a temple.  Myanmar is a socially conservative country, so do not display affection in public. Though it is now safer than in the past to talk about politics in Myanmar because of the democratic reform, there are still sensitive topics that should be avoided such as ethnic and religious intolerance. 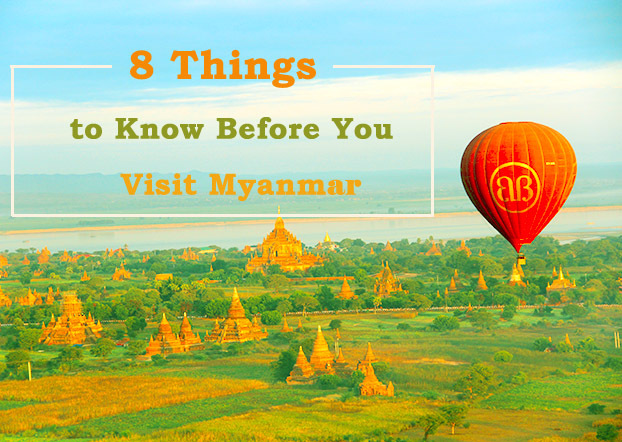 Hope this brief rundown will make planning your Myanmar tour easier. 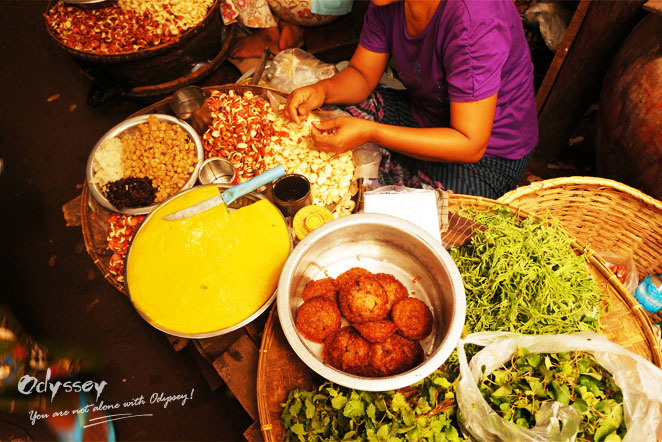 If you liked this post, share it with your friends who also fancy a visit to Myanmar. Any other thing you'd like to know about Myanmar travel, write to me at . Also, feel free to contact our travel specialist to tailor-make your dream trip.